Quick, professional and fixed right the first time. Our highly trained technicians can address every major to minor diagnostic or repair your vehicle may encounter. From oil changes, wheel alignments, brake replacement, to MTO safety inspections and everything in between. Technicians you can trust! We recommend that you take advantage of this service every 5,000 km or 3 to 4 months. Having the correct tire pressure in your tires means your vehicle is performing at its best. Properly inflated tires help improve fuel economy and wear more evenly. Not to mention that increased safety that proper tire pressure provides. To feel comfortable on the road, it’s important to have good traction. Due to various factors, including improper alignment, tires may wear unevenly across the tread pattern. Regular tire rotations can help evenly distribute wear and improve the life of your tires. When your tires have reached the end of their life and your vehicle requires new rubber to keep you safe, we know what size, speed rating and tread pattern with preform the best to give you the best handling on the road way in all weather conditions. Today electronic based systems are ever evolving and more ingrained in all aspects of automotive. Everything from tire pressure monitor, ABS and traction control, electronic steering angle sensors to computers operating emission controls and throttle body systems. We invest in electronic computer software to access and trouble shoot all of today's vehicles operating systems to save you time and keep your vehicle operating in top condition. Our technicians attend courses for upgrading on a regular basis to stay abreast of all new technologies and diagnostic procedures to save you time when problems arise. Alignments are one of the most important and often over looked preventative maintenance items that keep your vehicle running smoothly. When your vehicle alignment is outside the recommend specifications this can cause early and undue wear to steering and suspension components along with uneven tire tread wear. Rough, uneven roadways and potholes all contribute to alignment concerns. Alignment inspections will vary with your driving habits. 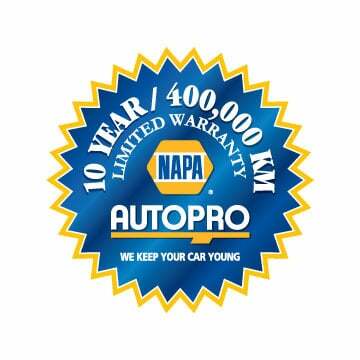 We strongly recommend alignment inspections once each year or every 20,000km. Nearly all late model vehicles are equipped with a cabin air filter, which should not be confused with the engine air filter. These days, drivers rarely roll down their windows—most vehicles have air conditioning, the windows insulate against noise, and the air in urban areas is often polluted. As a result, the cabin air needs to be filtered to remove pollen, mould, odours, smoke, dust, and other pollutants that can affect passengers’ health. The cabin air filter is part of the ventilation, heating, and air conditioning system and can capture extremely small particles. Each vehicle’s user manual will indicate the manufacturer’s recommendation for how often to replace the filter. It may need to be replaced more often if you frequently travel in dusty conditions. The cabin air filter is often located behind the glovebox. Our technicians can change it during a routine inspection. Although it is extremely resistant, the serpentine belt must be inspected regularly by a technician in order to detect any failures or loss of tension, and should be replaced according to the manufacturer’s maintenance schedule. If the serpentine belt breaks, the vehicle will break down and need to be towed. That’s why it’s vital that your serpentine belt be inspected by a certified technician, who can replace it according to the manufacturer’s maintenance schedule if necessary. Combined with the ventilation and heating, the automotive air conditioning system is a complex network of parts. The refrigerant is blended with a special oil that changes it from a liquid to a gas in just a few moments to cool down the passenger compartment. It’s important to remember that the air conditioning system in your car works throughout the year and not just in the summer! If there is a leak, the lubricant can’t work properly, which can damage the compressor, the most expensive part of the system. Lack of refrigerant is the main cause of air conditioning problems. That’s why it’s important to inspect the system regularly to make sure it’s properly sealed. A strange noise, odours, excess moisture, or a lack of freshness are all signs that it’s time for a trip to your technician. During a disc brake inspection, our certified technician will determine if the discs need to be cleaned and lubricated to extend their lifespan. Our technician will also check if worn brake pads or seized calipers need to be replaced and if the disc needs to be repaired or replaced. Brake fluid should be changed according to the manufacturer’s recommended maintenance schedule. Your vehicle’s suspension ensures a comfortable ride and a safe driving experience. Proper maintenance according to the manufacturer’s recommendations means having your suspension inspected regularly and repairing and replacing it when needed. The suspension is generally made up of shocks and springs or blades. MacPherson strut suspension, A-arm suspension, leaf-spring suspension, trailing-arm suspension, and air suspension are just some of the many types. Proper suspension maintenance includes regular (at least once a year) inspections to look for hydraulic fluid leaks in the shocks and damaged parts that may need to be replaced or repaired. We recommend having our certified technician perform all suspension inspections and maintenance. They have the expertise to detect any anomalies and the skills to repair or replace any defective parts. The normal lifespan for shocks is roughly 80,000 km. When well maintained, the suspension enhances passenger comfort and allows you to maintain proper road handling. Besides, a suspension that’s in good condition will make your tires last longer and ensure the steering functions properly. If you notice part of your vehicle’s body riding low or if you hear scraping or knocking on uneven roads, it’s time to visit us! Motor vehicle transmissions have experienced major changes in the last decade. Although automakers use 5- and 6-speed manual transmissions less frequently than in the past, the number of gears in automatic transmissions has jumped from 4 to as many as 10! Certain gearboxes are controlled with paddle shifters mounted on the steering column to recreate some of the power and control of driving a stick. Every year, there are more and more vehicles with a continuously variable transmission (CVT) on the road. All automotive manufacturers make recommendations about which kind of transmission fluid to use and how often to change it. Our certified technician can check your transmission fluid and replace it with the correct product (regular or synthetic, viscosity, etc. ), if required. It’s a good idea to regularly check the level of transmission fluid in your vehicle or ask our certified technician to do so during routine maintenance. Low or insufficient fluid can cause internal components to overheat and potentially lead to significant damage.